Can you tell us about the ultimate goal of your organization and how it fits into our increasingly patient-centric healthcare landscape? Medikidz is committed to creating innovative approaches to reliable children's health education and empowering young people with knowledge about their own health and the health of those around them. In turn, we are dedicated to supporting families, as we encourage them to think, discuss and understand health issues. Through all of this, we are aiming to build the world’s first globally-accessible brand for children’s health. We believe in the important role patient centricity has in enhancing shared decision-making, patient activation and the overall patient experience. An important factor in patient centricity is accessibility, and we have a goal to be fully accessible to children – whether it’s on their phone or a tablet, through mobile games or apps, prior to surgery, on the web, in the classroom or at a patient’s bedside. We even hope to have the Medikidz comic book characters smiling up at them from Band-Aids and fracture casts! As comic books, Medikidz learning materials are more than just age-appropriate medical information for children. Why has this medium been so successful and what else can it provide for your audience? Medikidz came from a frustration us founders felt as doctors in diagnosing and treating our young patients and not having any informative resources to provide them – there were no materials that we could trust, and certainly none that our patients would enjoy. So began our journey to start the world’s first medical education company for children, which prompted the crucial question: what is the best way to engage and educate young people? Our research pointed to comic books – specifically super hero comic books – because it is a medium that appeals to a wide range of ages, cultures and literacy levels. These comics are immediately engaging, empowering, and most importantly, kids think it’s cool! 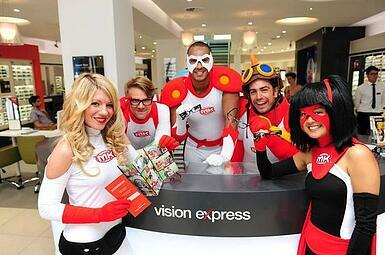 Medikidz has been a patient-centric organization since its inception, committed to empowering young patients. Would you say that your organization helps to sets a standard in the process of providing better treatment for children? It’s fantastic to see the explosion of services, resources and technologies that have taken to heart the importance of patient-centricity since this time and it certainly is “a splendid thing,” although, its adoption has been slower in the world of pediatrics. For a child, being unwell can be a traumatic time – both for the patient and their parents. In addition to the normal challenges of treating patients, pediatric healthcare professionals must work sympathetically with children of varying ages, in different stages of maturity and with unique understandings of their own conditions. The other side of pediatric care is working effectively with parents who may be experiencing stress and anxiety. Patient engagement solutions have a large role to play in addressing these challenges and improving the quality, effectiveness and delivery of care. Children are, of course, not a homogeneous group, and organizations must adapt their response to children’s diverse needs, backgrounds and capabilities. If children’s educational materials are to be relevant, high-quality and empowering to young patients, it is vital that children have an active hand in the creation of these materials. Effective and appropriate practices that reflect the needs of young people will ultimately lead to better health outcomes. What are some of the concerns that come with educating a child about their condition that one may not need to consider when communicating with an adult? What are some of the challenges your organization encounters in providing a child with materials that deliver a substantial understanding of their condition? I do not see any problems with the nature of the information itself for its target audience, apart from the challenge of ensuring that it is pitched appropriately for children, that is, in a language and format that they can engage with and understand. As with all information, it needs to be delivered in a sensitive and constructive manner. One challenge we face as parents and healthcare professionals is that children can research their illness themselves online and potentially access inaccurate information that could cause unwarranted distress or anxiety. This is yet another reason why it is critically important to provide support materials for children that are evidence-based, medically accurate and appropriate. At BBK, we are always thinking about how people interact with media and technology so that we can best engage and inform patients. As children become increasingly connected with technology, how do you see healthcare organizations evolving to engage pediatric audiences? As patient engagement becomes increasingly valuable and complex, the role of technology must also evolve. It has a unique and relevant part to play in engaging patients in a pediatric environment, as it can more efficiently deliver relevant services to children in many different age groups. Now, pediatric patients are likely more comfortable with technology than the hospital staff! Technology also forms part of their social network and support mechanism. A strong technological foundation will not only provide access to the most recent and relevant medical content, it will also provide a wide array of formats and mediums for displaying information – from printed literature to digital media. At Medikidz we are now using gaming platforms, augmented reality and virtual reality, and look to harness the latest in digital technology to create truly effective engagement and education experiences for children. It's a very exciting thing to see how Medikidz is positively effecting the lives of children across the globe, and we here at BBK are looking forward to seeing the evolution of patient-centric products and services in the peditatric healthcare landscape going forward. Check out the Medikidz website for more information on their work, and follow BBK on Twitter @bbkworldwide to stay up to date on the latest news in patient-centric healthcare.